The L918F features a 1.0 yd3 capacity bucket that is mounted to a skid-steer-style coupler, placing it in the compact loader category, but with the versatility of skid-steer-style attachments. Nuss Truck & Equipment (Nuss) will showcase SDLG's newest North American offering — the L918F compact wheel loader — at Northern Green 2018 in Minneapolis, Minn. Nuss will occupy booth #1941 at the show, which runs from Jan. 2 to 4 at the Minneapolis Convention Center. Northern Green is the largest tradeshow in the country for landscapers and nurserymen. The show attracts a wide array of professionals who manage landscaping and planting services for nurseries, municipalities, golf courses and more. Jim Soderbeck, sales manager for Nuss, said the L918F is of particular value to those in the field of landscaping due to its price point and easy maintenance, and its reliable performance when loading aggregate and mulch. When equipped with a set of forks, the L918F's functionality for landscaping increases, enabling operators to move pallets of sod and other materials, all with the simple operator controls that have helped SDLG's wheel loaders gain popularity in North America. The L918F features a 1.0 yd3 capacity bucket that is mounted to a skid-steer-style coupler, placing it in the compact loader category, but with the versatility of skid-steer-style attachments. The machine competes with large skid steer loaders, providing the same bucket capacity but with increased maneuverability and operator comfort. Additionally, the compact loader's maneuvering will cause less damage to job site grounds than a skid steer loader. A 12-month/2,000-hour warranty with optional extended coverages available. Nuss Truck & Equipment has eight locations throughout the Midwest, including its headquarters in Rochester, Minnesota. 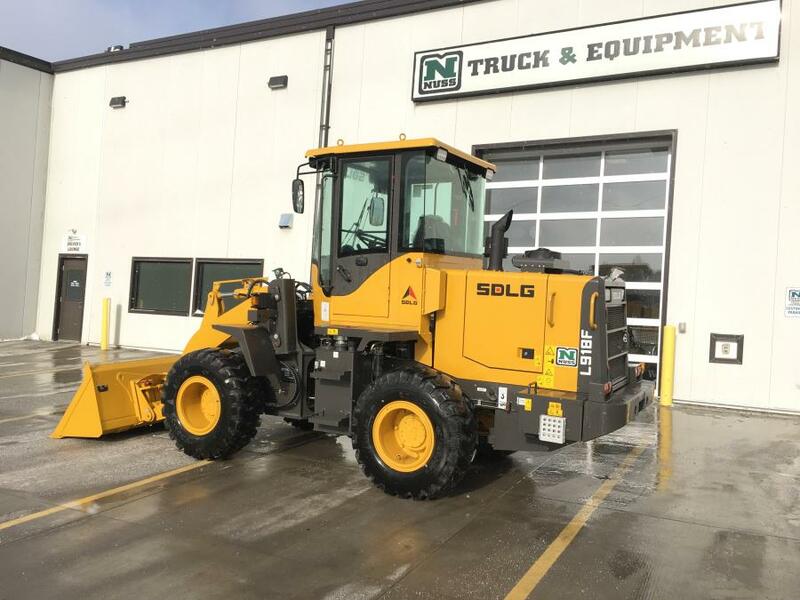 In addition to SDLG wheel loaders, which the company began offering in 2015, Nuss offers an extensive line of trucks, trailers and other construction equipment.